Full list of new Xbox One backwards-compatible games – with CD Projekt RED’s The Witcher 2 offered for free as part of the big update. These are the 10 new games that have been added to the list of backwards-compatible titles. With these new titles, the backwards-compatible library has reached 130 games. Microsoft is also offering The Witcher 2: Assassins of Kings for free – you just have to download it until February the 5th, 2016. Go to Xbox.com to get your copy of The Witcher 2: Assassins of Kings. However, it’s available only in select regions – Germany, France, the United Kingdom, Canada, and the United States. As new games become available, the company will add them to the backwards-compatibility list, Microsoft says, instead of just having a monthly release date planned. This is a change of strategy, as Microsoft first announced that they will be releasing them in waves. Xbox One owners will have to periodically check the list, available below, to see what new games have been added. In November of 2015, Microsoft rolled out a big Xbox One Experience update, which featured the much-awaited backwards-compatibility support, along with an initial line-up of 104 titles. In December of 2015, Microsoft added 16 new games. The big M has announced in past interviews that the company intends to boost Xbox One console sales by using backwards-compatibility as the main game-changer. Yet, GameSpot notes, the effect of this strategy remains to be seen. The full list of Xbox One backwards-compatible games can be found on the official Xbox One backwards-compatible page. Not all Xbox 360 games can be made to work on the Xbox One. All of the titles have to be released digitally as Microsoft can’t build the Xbox One to run Xbox 360 discs. Even so, some of the games that the company digitally converts to be available for the Xbox One don’t exactly work as developers plan. 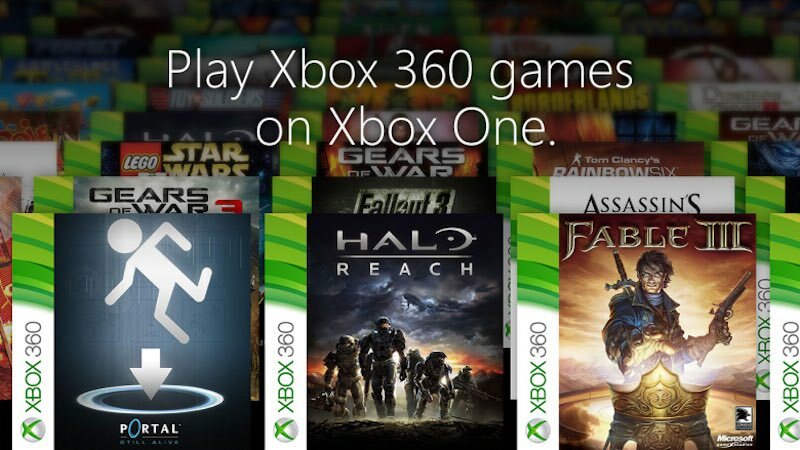 This means that only certain Xbox 360 titles can be made available for Xbox One owners. PlayStation 4 owners are really out of luck, as Microsoft’s backwards-compatibility program is by far the best. If you own a PlayStation 4 and want to play old PS3 games, you’ll have to use the PlayStation Now service, which basically streams them to your machine. It’s quite expensive and there aren’t nearly as much free titles as on Microsoft’s side.